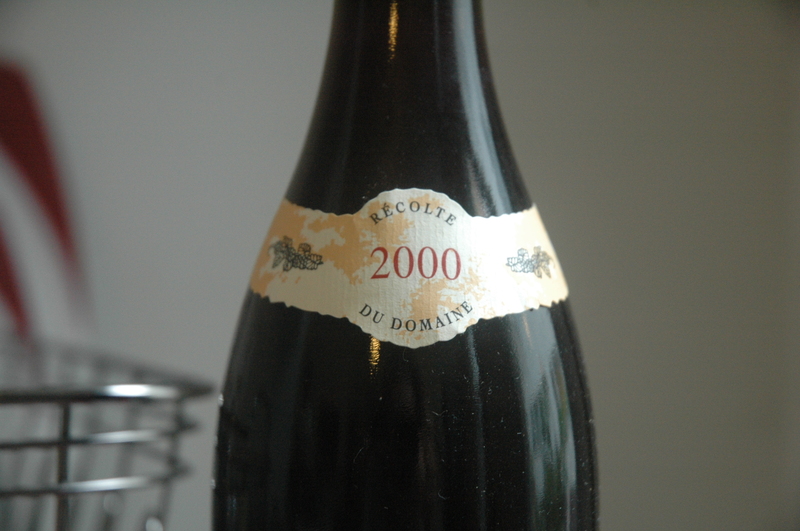 After the reasonably exquisite Domaine Serene Pinot Noir Evenstad Reserve 2003 (tasting notes in previous post), a Belles Soeurs Pinot Noir Shea Vineyard 2000 was poured. 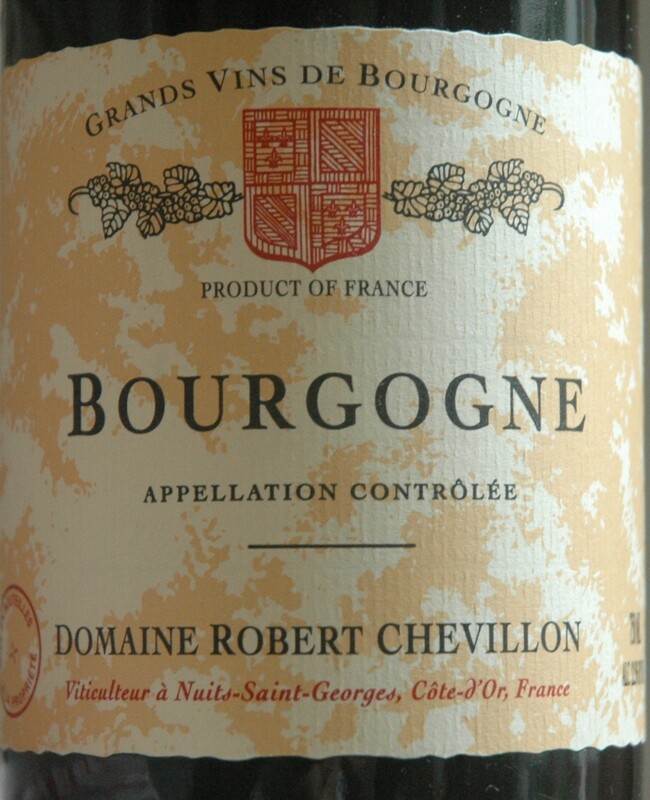 In general, across most vintages, I find their wines mades from outsourced grapes from Shea Vineyard to be more complete ventures than Beaux Freres’ Estate-specific cuvées (Beaux Freres Vineyard, Upper Terrace), though I have yet to encounter an uninteresting wine that bears the name. I have read about, but have yet to taste their tiny production Upper Terrace Grenache, and I would be more than happy to accept tasting samples, to be discussed here on WineGeist, judiciously and impartially. I’m listening to “Mr. Tambourine Man” as performed by its composer, Bob Dylan, at the Hollywood Bowl, September 2, 1965. I know Dylan gets a lot of air time here, but that was the track that came up on the full library shuffle, just then, as I started the sentence; it’s still playing now. It’s true that I’ve been staring at the incomplete line, “I’m listening to…” for a couple of dozen songs, but that’s neither here nor there and Dylan is inspiring. And that song in particular, “Mr. Tambourine Man” is a big one in an unparalleled body of work, not to mention being the second part of the Good Doctor‘s dedication preceding Fear & Loathing in Las Vegas: “-and to Bob Dylan, for Mister Tambourine Man“. Dylan wrote that one in ’65 and in the same year it was recorded by The Byrds and released as their first single for Columbia Records, which reached #1 on US and UK charts. Unrelated, I was told, not that long ago, “It takes a lot of Dylan to make a nice Syrah.” But today, we’re discussing Oregon Pinot. 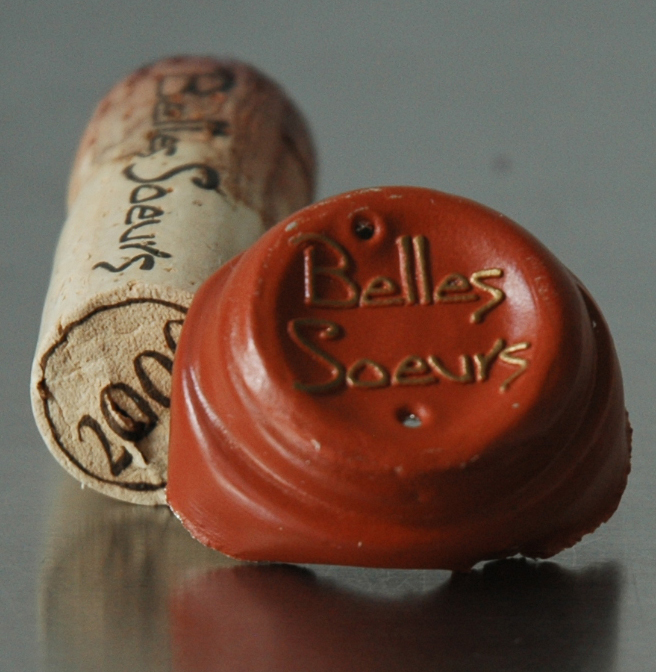 The Belles Soeurs Pinot Noir Shea Vineyard 2000 wafts immediately of cedar and raw meat, and is dark in the glass, knocking on the door of deep purple. Visually, it’s almost unreasonably concentrated for the varietal and most definitely for the vintage. The vast majority of 2000 OR Pinot Noir, even the very good ones are a little thin in the middle, as if too much water was interjected at a major stage of growth, and the grapes partied like it was 1999, resulting in flimsier fruit. Ironically enough, the grapes of 1999 were far more studious and the wines released from that vintage continue to age well. 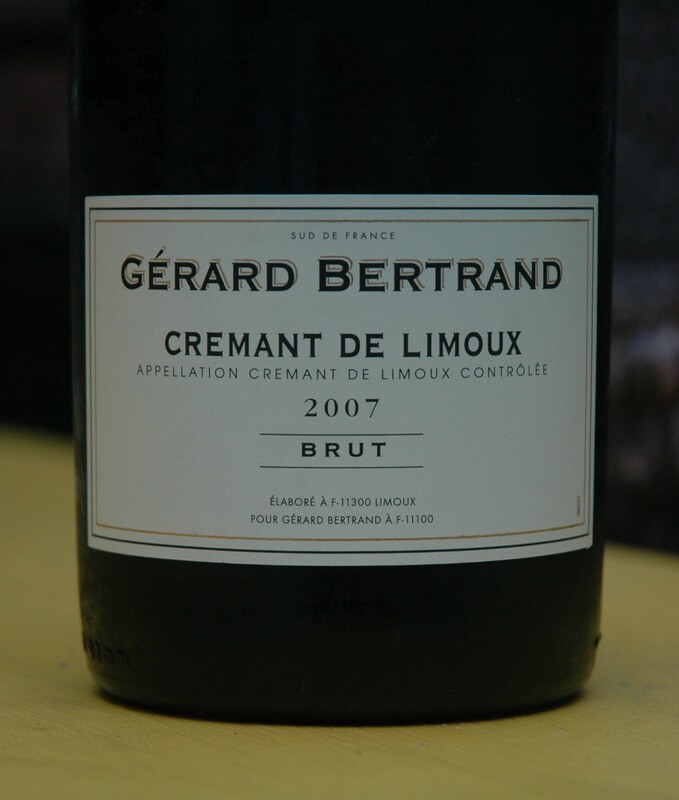 Even the normally highly concentrated Beaux Freres wines are a little soft, a little light on character, in 2000, including this one whose palate is not so brooding as the color. The only recently tasted examples to the contrary for 2000 OR Pinot are Ken Wright Pinot Noir, Shea and McCrone Vineyard bottles. But back to the ’00 Belles Soeurs Shea: the palate displays cool damp earth, ash, as well as some vegetal characterists and green pepper. There’s a nice mid-palate dryness, but the body seems to drop off there, making for a shorter experience. That being said, there exist notes of espresso bean, anise, and prune as well as overripe raspberry and a dusty, silty finish. 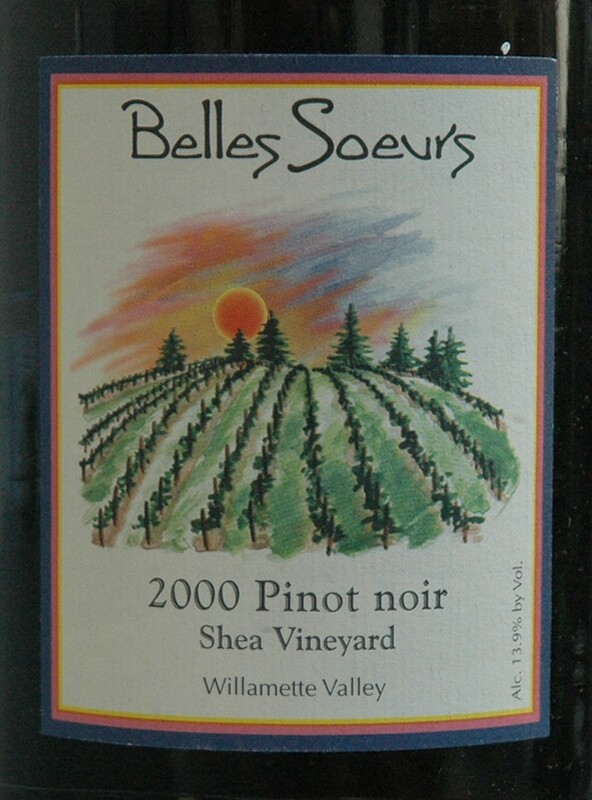 The Belles Soeurs Pinot Noir Shea Vineyard 2000 is a highly palatable wine, but it’s a little thin for its pedigree, and is likely at the back end of its drinking plateau. Remaining bottles will be enjoyed in the near future, rather than returned to the cellar. A summer white in the the summer wind. It’s the 4thand the hunter/gatherer in me feels the need to grill something. There are a couple of Albacore steaks in the fridge and the marinade now contains: olive oil, white wine, a fistful of fresh basil, mined garlic and ginger, crushed hot peppers, salt and pepper the fish, not the marinade… and I’m out of citrus, so a dash of Pellegrino Limonata, looks like just the thing. I’ll also confess that the white wine is Patz & Hall Chardonnay Dutton Ranch 2007 that was vacu vin’d in the fridge from yesterday. I am still not sponsored by Vacu Vin but, per dollar spent, I’m not sure anything else has added more to the enjoyment of my wine consumption. And I’m not above sponsorship cash and products. I’m listening to Yo La Tengo’s Summer Sun. They’ve been so good for so long that it’s inspiring and intimidating in the same moment. Summer Sun achieves and maintains a complete aesthetic throughout, without ever reaching monotone, in a way that few records ever have. The climax, literarily speaking, is the 10 ½ minute gorgeously ethereal and meandering “Let’s Be Still,” which sounds like the finest of all summer afternoon naps, no sunburn, no mosquito bites. At sundown, one wakes to the falling action of Georgia’s breathy rendition of Alex Chilton’s nostalgically sweet “Take Care”. And that’s how you end a great record. Very little of the Patz & Hall Chardonnay Dutton Ranch 2007 went into the tuna marinade. Some is currently in the glass in my hand in which it appears to be 18 karat gold with just a hint of gripping viscosity to the swirl. There’s an apparent yeastiness to the nose, under which peach, wildflowers, and strawberry are rapidly emerging. There’s a butteriness to the texture and a firm but fair acidity that carries through a long finish, where pineapple persists. It’s nice juice that has another handful of good years in it, properly stored. Looking pretty sharp at 25 years. The wine I was most excited to open with that glorious cheese selection from Bedford Cheese Shop was a Rutherford Hill Vintage Port 1986. I’m a big fan of high quality US dessert wines and this is one of the most port-like “Ports” I’ve ever encountered. There are an enormous amount of fabulous stickies bottled not only up and down the west coast, but sweet white is one of the few things they’ve been getting right in parts of New York for a long time. Often batches of California dessert wine are pet projects of wineries known for other things and production is often so small that if you don’t specifically ask, you’d never know they existed. I often come across such small batch wines in collection and consignment offers, which was how I originally discovered the dessert wines of Williams Selyem and Shafer. Over the years Phelps has produced a number of beautiful stickies such that I can recommend you purchase and taste just about any one you can find. Warren Zevon‘s posthumous Preludes: Rare and Unreleased shuffles up on the itunes and I remember how much one can miss a guy he never met. Preludes is made up of selections from the tapes that Zevon’s son, Jordan, found in an old suicase, shortly after Zevon’s death. Warren Zevon was one of the great American storytellers and these earliest recordings show just how good he already was early on in his career, though on the charmingly raw version of “Carmelita,” it’s clear that guitar was his (distant) second instrument, to the piano, at which he was masterful. The previously unreleased “Rosartita Beach Café” sounds like something he might have written after a minor bender with Hunter Thompson, but I’m fairly certain they hadn’t yet met and become friends. “Rosartita Beach Café” was torn from the same moment as “Desperados Under the Eaves,” the version of which resides on Preludes is crushing. For my music listening dollar, it doesn’t really get any better. And the next glass is raised to Warren Zevon. 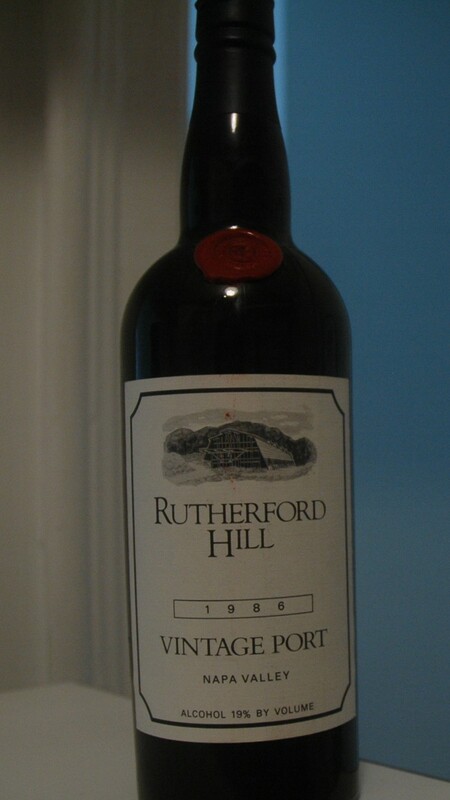 Epilogue: Beautiful as it was that evening, thanks to my trusty vacu vin, the ’86 Rutherford Hill Port was drinking even better the next day and the rest of the week, once the alcohol integrated had properly integrated.